Buttery toffee covered with chocolate and almonds for an old-fashioned treat. 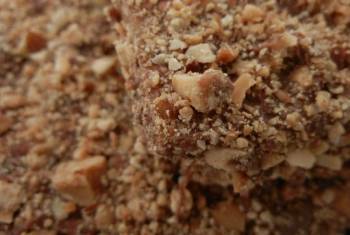 Made with butter, sugar, chocolate and almonds, our English Toffee is a favorite of all ages. The crunchy toffee is surrounded with creamy chocolate, and is finished with a sprinkling of chopped almonds for the perfect blend of flavors and textures. English Toffee makes a great hostess gift, and is delicious over vanilla ice cream.